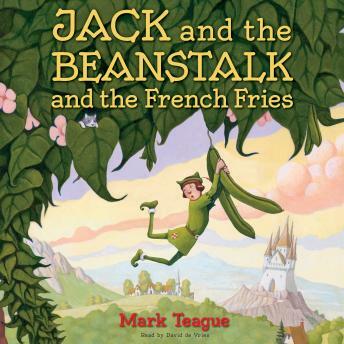 Listen to "Jack and the Beanstalk and the French Fries" on your iOS and Android device. When Jack trades the family cow for a handful of magic beans, he gets more beans than he ever expected or wanted. It's bean porridge for breakfast! Bean salad for lunch! Bean chowder for dinner! It doesn't take long before Jack is tired of eating nothing but beans--no matter how nutritious!